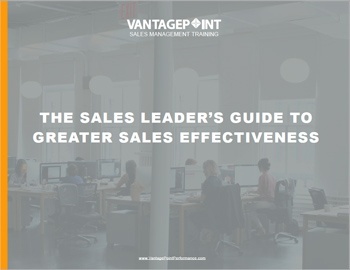 Download our Sales Leader e-Book! You will also gain access to all of the content on our website, including our Resource Center packed with videos, webinars, articles, infographics, and more! We know your time is important. Contact us today and our team will reach out to you. Copyright © 2016 Vantage Point Performance, Inc. All rights reserved.